What’s the Minimum worth ? So, put simply, if you are a wage earner on the Minimum Wage, in a relationship ( and we all want to encourage stability, right?) with two children then unless you receive welfare support you are sunk. A lone parent needing to pay for childcare so that he or she can work is also sunk if on the Minimum Wage. And if you are caught in this poverty trap you will no doubt be labelled by the ruling parties and the Press as a “benefit scrounger” . Folks, you can’t win. Life must depend upon fortitude and support from other sources. I used the JRF Minimum Income Calculator as an exercise. Wow. By today’s measures, I need to earn £30,835 pa or £476.51 per week. Probably about twice what you would get for a 38 hour week on the Minimum Wage. My recent experiences have been enlightening and also disappointing. Working as a temp I have accepted the Minimum Wage and little above it. I have seen youngsters slog for their £230-ish a week. One young man so desperate, you could see it in his eyes, to feed his wife and child he worked endlessly for the Minimum Wage to try to create a good name for himself and thus a permanent, better paid job. Hopefully. And I have seen employers shed one cheap worker for another. I have seen them exploit workers by paying the Minimum when the standard of work delivered was clearly worthy of more. The Agency’s attempt to get a rate increase rejected, probably on spurious grounds (though I can’t prove it). The Employer’s plan – to get the most for the cheapest outlay. If you are a youngster caught in these circumstances it must often seem that there is no way out. When I joined the Temping Agency I was asked if I would work for the Minimum Wage. I said, “No, because if we all start accepting the Minimum Wage then it’s not going to go up, is it ?” . In the end, if I wanted to work, I had to accept, a start at least, at the Minimum Wage. The whole exercise has been an eye-opener for me. I am dipping out – I will survive – but I’m not going to take a youngster’s temping/job opportunity. What I have found shameful is the behaviour of employers. 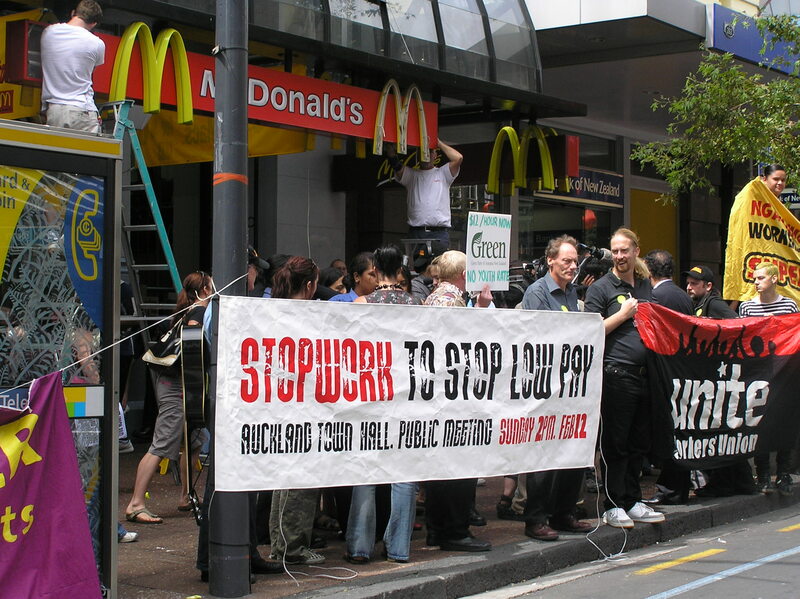 And we now have the scandal of zero-hour contracts by big retail chains. Clearly, in an economy struggling to pick itself up, where the baseline of expectation is set so low, there are opportunities for secure companies to exploit the workforce. There is an accepted Living Wage, supported by all Parties, set at £7.45 per hour outside London (£8.55 in London). What moral excuse is there then for not making that the Minimum ? and the government works tirelessly, supported by the “in-their-pocket” press to turn middle and wroking class against each other encouraging them to blame those on benefits for the countries ills. It saddnes me that the silent majority fall for it and cannot see that the country is ruined by the very rich looking after themselves.. rant over ! I so understand what you’re saying. You must be appalled at the US minimum wage of $7.25 an hour. No one here can live decently on that, especially without a full 40 hours a week, which those employers try not to give so they don’t have to offer benefits. Just last week (when fast food workers in New York went on a mini strike to bring awareness to the need for a higher minimum wage) I heard an idiot tea party pundit say, “They should all just get better jobs if they don’t like the pay.” What …?! Too many people who don’t understand the job market at its lowest levels, and refuse to understand the high cost of education on that sort of salary, are in positions of power here. I wish Helen Cherry was wrong, too, but it keeps getting worse. I hope the tides turn soon. A lot of us dealing with minimum wage, or less, are getting too beaten down to even fight. Just today the Trades Union Congress here is bringing the low pay scandal into the news with a petition to the Govt pointing out that Agencies and Employers are flouting an EU agreement for equal pay after 12 weeks. The Govt claim that unemployment is falling but it’s all being driven by low pay temp work. Exploitation is a word that always comes to mind. And as for fighting for your rights, being beaten down is bad enough but if you cause too much of a ruccus you may lose work altogether. Sometimes it seems we haven’t moved forward at all in workers rights.